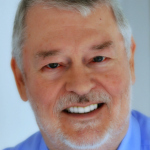 UPDATED 5:29 p.m. Friday, July 25 — A memorial service is planned for today (Saturday, July 26) at 1 p.m. for John Waller Munford, Jr., 41, a third generation newspaper man and a reporter for The Citizen for 14 years, who passed away in the early morning hours of Monday, July 21, 2014. Munford was born in Kentucky, where his father and grandfather were owners and publishers of the Union County Advocate in Morganfield. His father died in 1987, and he subsequently moved with his mother and siblings to Peachtree City in 1988. A graduate of McIntosh HIgh School, Munford continued the family journalism vocation with his studies at Georgia Southern University where he was very active as a staff member of the school’s George-Anne newspaper. Following graduation, he worked for The True Citizen in Waynesboro, Ga., and worked there five years after graduation, learning much about reporting from editor Jimmy Ezell. He returned to Fayette County in 2000 and began working for The Citizen. He was found in his bed Monday after he missed a noon staff meeting at the newspaper office. Knowing that his wife and children were visiting family out of state, two of his coworkers went to his home within minutes of that missed meeting and found an open rear door to the residence. Munford had written and posted on TheCitizen.com a story about the Peachtree City Planning Commission at 8:42 p.m. Sunday, his last work for this newspaper. Apparently he died within a few hours of that posting.Munford was preceded in death by his father John Waller Munford, Sr.; and maternal & paternal grandparents. A memorial service is planned for today (July 26) at 1 p.m., at the Chapel of Mowell Funeral Home, 180 N. Jeff Davis Drive, Fayetteville, Ga. The Reverend Tony Mirabella will officiate. In lieu of flowers, those desiring may make donations to the Tyler and Katie Munford Higher Education Fund at any Wells Fargo Bank location in the United States. UPDATED 10:58 p.m. Wednesday, July 23 — John Waller Munford, Jr., 41, a third generation newspaper man and a reporter for The Citizen for 14 years, passed away in the early morning hours of Monday, July 21, 2014. Munford had written and posted on TheCitizen.com a story about the Peachtree City Planning Commission at 8:42 p.m. Sunday, his last work for this newspaper. Apparently he died within a few hours of that posting. Publisher Cal Beverly said Munford’s death is a sad and heavy blow to his family, colleagues and friends. Munford reported on Peachtree City and Fayette County governments, as well as sharing police and fire stories with reporter Ben Nelms. “The thing about Munford is that he was always there,” Nelms said Monday. “No story was too big or too small, and every story he wrote was invested with forethought and with an eye toward not just the obvious, but to those things that are sometimes not quite visible. “To possess a natural curiosity and to display the willingness to see beyond the obvious is the mark of a real journalist. And as Munford would sometimes say, ‘I’m a newspaper man.’ John was always there to help. And he was my friend,” Nelms said. Roy Chalker, publisher of The True Citizen, expressed the respect and sorrow of Munford’s former colleagues in Waynesboro. Munford was active in the Brooks Baseball Assocation and Fayette County Little League. His love of baseball was well-known, beginning with his stint as manager of the high school baseball team in Kentucky. He was a dedicated Atlanta Braves fan who was outspoken with his disapproval of the team’s decision to move to a stadium in Cobb County. Munford was preceded in death by his father John Waller Munford, Sr.; and maternal & paternal grandparents. A memorial service is planned for Saturday, July 26, at the Chapel of Mowell Funeral Home, 180 N. Jeff Davis Drive, Fayetteville, Ga. The Reverend Tony Mirabella will officiate. UPDATED WITH OBITUARY Wednesday, 1:55 p.m. — The man whose byline appeared in this space hundreds of times over 14 years now has a headline containing his name on that same front page. But his byline will appear on no more new stories. John Munford, 41, a reporter for The Citizen since May 2000, died Sunday night at his home in Fayetteville, apparently of natural causes. He was found in his bed Monday after he missed a noon staff meeting at the newspaper office. Two of his coworkers went to his home within minutes of that missed meeting and found an open rear door to the residence. 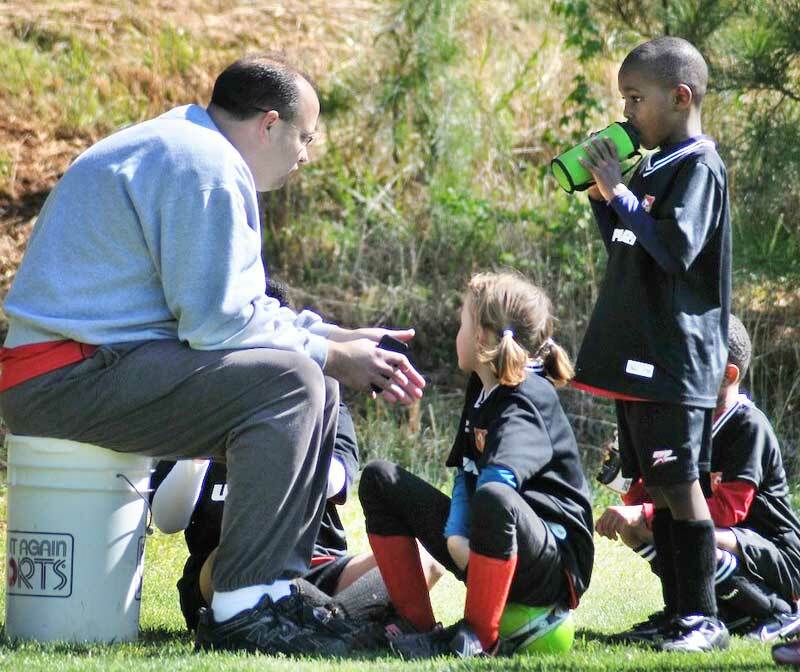 Below, Citizen reporter John Munford in another of his many roles, as youth soccer coach for his daughter’s team. Photo from his Facebook page. John Waller Munford, Jr., 41, passed away July 21, 2014. He worked for the Citizen Newspaper as a journalist. He was preceded in death by his father John Waller Munford, Sr.; and maternal & paternal grandparents. He is survived by his wife Marilyn G. Munford, son Tyler Carter Munford and daughter Kathryn “Katie” Abigail Munford, all of Fayetteville; mother Jerri Munford of Peachtree City; sister Sallie Ann (James) Dykeman of Phoenix, Ariz.; brother William “Jed” (Jennifer) Munford of Douglasville, Ga.; mother and father-in-law Stephen “Steve” Ralph and Ellen Taylor Cox of Fayetteville; brother-in-law Stephen Robert (Kelli) Cox of Thomasville, Ga.; also nephews Maddox Dykeman of Phoenix, Ariz., and John & Jacob Munford of Douglasville, Ga. The memorial service will be held Saturday, July 26, 2014 at 1 p.m. at the Chapel of Mowell Funeral Home, 180 N. Jeff Davis Drive, Fayetteville, Ga. The Reverend Tony Mirabella will officiate. The family will receive friends Thursday, July 24, from 5 to 8 p.m. at the funeral home. In lieu of flowers, those desiring may make donations to the Tyler and Katie Munford Higher Education Fund at any Wells Fargo Bank location. Family friend Chuck Lenahan emailed with announcement of an earlier informal memorial in honor of Munford. “’We’d like to celebrate the man who inspired those stories. Heck, we’d like to hear those stories and we’d like all who knew him to come and share your favorite Munford story. We know it’s short notice, but as so many of his friends and family are local, please come help us celebrate John’s memory with us. Maybe even order yourself a pizza and a beer while you’re at it, but even if you choose not to, just stop and share your story with us. “’From 6-9 p.m. on Wednesday, 7/23/14, we’ll be at Partner’s II Pizza in Peachtree City. Bring your favorite story (and really, it’s okay if it’s embarrassing) and come join us in paying tribute to John, and all the good times he shared with us. “The Tyler and Katie Munford Higher Education Donation Account” has been established at Wells Fargo Bank. Donations can be made at any Wells Fargo location across the country. If you want to make a donation, let the Wells Fargo teller know you are making a deposit into that particular donation account. He was found in his bed Monday after he missed a noon staff meeting at the newspaper office. Two of his coworkers went to his home and got no answer at the door. They then called police, and found an open rear door to the residence. He wrote and posted on TheCitizen.com a story about the Peachtree City Planning Commission at 8:42 p.m. Sunday, his last work for The Citizen. Apparently he died within a few hours of that posting. Survivors include his wife, Marilyn; one son, Tyler; and one daughter, Katie; as well as his mother, who lives in Fayetteville. Funeral plans will be announced later.